We’ve heard his argument before. There is scarcity with the world’s resources. Too many people, too few necessities (water, land, energy) to go around. War is inevitable when many people compete for few resources. Your basic economics book will tell you this. Many of us have bought, memorized, and memorialized, this argument, uncritically so. We do this with many arguments that seem nicely presented to us in articulate language. We are so easily fooled by glossy text printed with bold fonts and eye-catching hues that we indulge in it without question, no matter the import of its conclusions. We’ve come to take anything that is written down in such a manner or that is institutionalized in mission schools as serious and true. In doing so, we have wronged ourselves and our communities. But no one have we let down so tragically as Mother Earth. We’ve turned our backs on Her, our Grandmother, and let the madman have his way. He, the father of Madman Economics, has told us how to live, to the detriment of our Mother Earth. He calls Earth names and we, too, heckle. He calls plant life, animal life—wildlife. Wild as in untamed, undomesticated, and uncultivated; as if in need of taming, domestication, and cultivation. People who he deems are uncivilized or primitive, he calls wild. Whatever he thinks is unsound and lacking reason, he calls wild, like a wild guess. Wild is his marking of territory that he deems inhospitable (to him), that which is uninhabited (by him). There is a pattern: in his mind, in all his relations with the world, he is at the center. His view is one that puts himself above that which he ordains to be wild. He is the master of his universe. With a single word–wild–he has demonized the entire environment, which he calls the natural environment, so as not to be mistaken for that over which he exercises full control. Nature, he says, runs wild without restraint or discipline. He has named himself the conqueror of nature, of the earth. For him, the earth and all her components are not a lush paradise but only a wild bush of sorts to be used up and exploited. Think of your precious daughter, a genuine beauty inside and out, by any standards. Well, this man does not see her beauty, nor her character. He will not see it. He refuses to. To him, she is just an object to be used up and exploited, to be abused and mistreated, to be wasted and thrown out when he is done. We must understand how he sees nature, that Madman Economics, the subjectivity he brings, so that we can understand how he interprets his place in the world and how he has influenced us to view the earth through this same lens. He brings this perspective on wildlife to what he thinks about the earth. He doesn’t see a complex yet beautiful ecosystem of trees, soil, plants, and animals existing in as near perfect harmony as one could muster under a guiding principle that life feeds upon life. Our precious earth is debased, no more than materials to be mined, harvested, extracted for money or made into more materials to be exchanged for money, ultimately with the goal of possessing as many materials as possible–even owning the entire earth and its inhabitants (you lowly humans included)–with the aim of accumulating maximum wealth. Sounds diabolical, if you ask me. In his mind your mother, your grandmother, your daughter—Mother Earth—each has no value except what her body can provide us monetarily. It’s quite the graphic display of brute inhumanity, to only value life insofar as the body can be used, but it is his philosophy that objectifies the earth and us all in this way. This same attitude that he brings to how he views the world is the precise attitude he desires you to adopt as well. To use and abuse. To exploit and mistreat. He trumpets the notion that the world’s resources are scarce. He looks at the earth and its miraculous life and brings all his subjective judgments upon it, and we consume this perspective unwittingly. After labeling the earth in this way, as resources to support himself and his interminable desire for greater wealth, he goes about trying to capture it all—land, mineral reserves, precious metals—designating how much he should have for himself (all) and how much he should spare for others (none). Here is where his scarcity myth comes into play. Scarcity: a story penned by Madman Economics. Scarcity implies that we don’t have enough to spread around. We’re in short supply of something. Fair enough. But I look around and see an Earth, vast with some virgin lands still untouched, waters stretching more than seventy percent of her surfaces. Earth and water are not rare, nor do they occur in small quantities. How does a doctrine of scarcity emerge amid all this abundance? He says I’m blind to reality. There is no abundance, only scarcity. Scarcity implies a given level of consumption for each individual. When there is insufficient supply for the demand, scarcity (that word, again) abounds. How much, then, should everyone have? How much is enough? Recall that his worldly possessions have no limit. His scarcity presumes that one man (he) can have all and if he has most but not all then he doesn’t have enough! If we all have some, but desire more, then we all don’t have enough! Even when full to the point of morbid obesity or beyond, still, we don’t have enough. There is never enough! Do I sound like a madman? In fact, if he is the only human being (and I use that term rather loosely) on the planet and he owns all the planet but not the galaxy above and below, surely he has too little and not enough. There is ever a scarcity in his mind—and so it must be in order for him to rationalize his wars of conquest. Because if we have enough, how could we ever justify taking from others? That is a madman’s scarcity, if you ask me. Consumption of energy is highest in places where there is little or none to consume. The use of gasoline to power cars and homes, the consumption of sugar and salt, the wearing of diamonds and silver, even the storage of gold reserves are at a peak in places where the earth produces none of these things. This deranged mentality, to obtain whatever is most out of reach and to obtain it all or else, provokes an absolute frenzy for ravaging the earth. How many truckloads leave African nations each day full of earth-as-resources for his indulgence? How many laborers toil under the sun to reap products like cocoa which are overproduced for no other purpose than his sweet tooth? Does this mean cocoa and gold are scarce? Well, only if we do not count the amount that he keeps stocked away as inventory. Only if we assume the tons of earth that lay buried near the core will indeed be extracted for no just cause but just because. 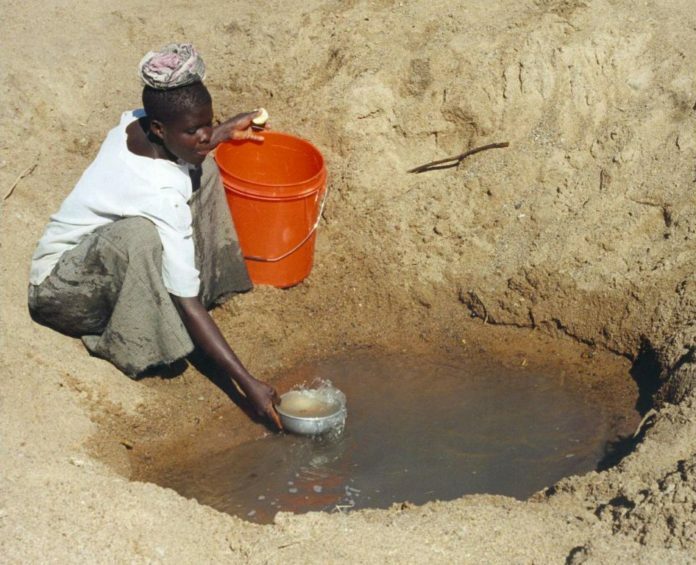 He says water is becoming scarce, that animals and people and fish perish from not having enough fresh water. But is this not the same water where people use gallons and gallons to flush a toilet or to pour over their skin and hair nonstop for twenty minutes, what modern society calls a shower? Is this not the same scarce water that goes by the name of “sprinklers” so that people can bathe their grass (when the earth already does this and has done so for thousands of years—it’s called rain)? So that people can fill and refill “pools” to lounge in their backyards because the world’s natural pools—lakes and oceans, expansive as they are—are not enough? What’s more, I see wells being drained for the purpose of manufacturing scarcity. I see rivers and lakes being contaminated with toxins so that he can bottle and sell you clean water from the springs. I see these same springs cordoned off, in the name of multinational corporations lording ownership over a body of water and deploying uniformed men to persecute and imprison any citizen who dare drink. In some nations, I see efforts to prohibit the collection of rain water, the very gift from the earth to us all. So when he, the Madman Economist, tells me that water is scarce, I know he only presents a hoax. I know he only hopes I am so engrossed in ignorance that I will buy into his story. Besides water, he tells us that energy is scarce. But I see people using energy to power jets while they bathe. Because scrubbing isn’t enough. I see people using energy to power machines to dry their clothes. Because evaporation of moisture under the sun isn’t enough. I see people using energy to wash their dishes. Because the skin on their fingers might, for a moment, wrinkle. I see hundreds of people going to the same place driving in hundreds of cars. Because they can’t agree on a radio station. Because they won’t share a seat with a stranger on public transportation. I see “technology” everywhere we could do something manually. Because we’re living in the modern world—why do you want to stay behind? According to him, behind the times means you don’t agree with his level of consumption—absolute consumption, consumption of all, taking everything in his tracks and leaving nothing behind. His desired level of consumption makes his ideas about scarcity possible. It makes his wars of conquest, wars for resources, imperative. Why so many people laud and practice Madman Economics is beyond me. Why do so many people want to consume as much as he does in a lobotomized rat race for self-annihilation? I believe we do so for lack of a vocal counter narrative. Where is the African philosophy that withstands the tumultuous winds of Madman Economics? Where is the compass to point the world in a better direction towards preservation and respect, towards morality and goodwill, and away from destruction and gluttony? To what distant corner has Ma’at disappeared and when will it come back in some shape or form? In the absence of other narratives, he has institutionalized his doctrine of scarcity in a field he has named economics, after himself. He has given validity to his theories by issuing out paper certificates for the mastery of his doctrine. What if we created our own doctrines and did the same? Nothing stops anyone from creating their own philosophies of the world and of the earth, writing about them feverishly, institutionalizing the learning of their philosophies in walled buildings called schools, and issuing out degrees for their mastery. The last thing we should do is blindly and lazily accept a worldview that views the earth’s destruction as the madman’s divine intervention. We cannot sit idly by while the world—our daughter, mother, or grandmother, she who gave birth to us and in whom we all lay to rest eternally—is mistreated and violated. Instead of regurgitating his credo, why don’t we construct our own narrative? The world is not scarce of gifts. Only he squanders, pollutes, and hoards necessities (water, land, energy) in the hopes that there will be too few to go around. With proper guidelines and morals surrounding use, war and competition will be unnecessary. He wrote that basic economics book to tell you whatever he wants you to think. Now it’s your turn to write. A scintillating philosophical exegesis of Scarcity, a madman’s economics way of thought. Here, Nefetiti’s peroration achieves two things: (1) it debunks the ethical foundation of the idea of Scarcity and (2) entreats those with a deeper understanding of philosophy to rise up against such a gluttonous doctrine in Economics that’s ravaging the entire Mother Earth. I spoil it for you the more I write, so I will leave you to the spellbinder herself. Nefetiti is brilliant. I was confused about scarcity in my Economics 101 class some decades ago. I have never had a chance to wrap my head around this fundamental thesis in economics thinking. Now, this is food for thought. The more we question these western paradigms the more enlightenment it brings to our African outlook. This was a great read. I will revert with my more careful thoughts later tonight. Akosua M. Abeka you are the Mistress of Intro! Hmmmm are you sure, your essay is not field with emotional construct loosing glimpse from cause and effect? Lacking an empirical sense. 1. Could all human behaviour, rationally be deduced as the same in achieving ends from means within any particular time ? 2. Could you define what we called economic value, property and utility? 3. Do you understand when and how the ontological studies of scarcity came to existence and the reason. 4. Be careful you do not contradict the science of Renewable resource from Non- renewable resource buried below and above this earth. Tweneboah Senzu can you explain the first point? I cannot understand it. The remaining points are interesting critiques however. Although I believe that Nefetiti rejects the premise of “economic value” emanating from the idea of “property” and “utility”. Until the madman removes himself from the center, and looks upon the earth as a home to live in harmony with we will continue to argue about “property” and “utility”. One can posit that the Earth is a home for man to remain in equilibrium with, not to exploit. The difference as Dade Afre Akufu would say, is not insignificant. Tweneboah Senzu, do you realize what you are saying? You see the Earth, and what you see is a resource, property and utility. I look at the same Earth and what I see is sustenance in which I must live in harmony, my rights to it ends where the Earth begins to experience an out-of-balance spasm. But I am the one who is emotional? Or even “irrational”? My great friend Solomon Azumah-Gomez note that every man has the right to strive to achieve his expected ends by considering the resource available and how to utilised this limited resource to achieve maximum output in expectation. The mechanism employed lies in the onus of the individual in context which the science of praxeology best explains. In this mechanism it comes with it own effect and consequences, which could affect the environment both positively and negatively. Since you have no control of people thought and behaviour at a particular time, it effect…. you have no control over it as well, hence you have no control over scarcity as well. My dear friend, Tweneboah Senzu, you mean more to me than Kelewele, but I respectfully disagree. Vehemently. Hell, mightily! Man has not right to anything. In fact, the only right that Man has is the right to sustenance. Beyond that, it is not a right, those are just wants, desires, which have in only a couple of centuries put so much stress on the worlds ecosystems that we are officially on the brink of collapse. We ought to be careful the doctrines we accept and pout. The implications of the differences between living in Harmony with the Earth and “maximizing its utility to the madman” are not insignificant. My dear Solomon Azumah-Gomez…..are you propounding a new theory to be adopted or you are sincerely addressing the issues related to reality which is classified as, development economics. Never forget, any theory that has no systems and institutions to drive it applicability is categorised as fantasy. The theory is not new, my dear. It’s as old as Africa. Only we have failed to give it voice. Perhaps also through colonialism and imperialism our ideas have also been conquered. The gun, the Atomic bomb and chemical and biological weapons can do many things to profound ideas. Ask the Russians. So when, will we solve our issues as Africans without not having any one to blame… I mean avoiding a reactionary paths to actions. USA was colonised, you hardly hear them complaining of their malfunctioning or low performance to that of the Anglo-saxons. I have always feel that reactionary pathway we choose in our argument as Africans indirectly conclude that we fully accept the mental disorder of inferiority complex or insecured to our current development . Which I do not want to be affiliated with or subscribe to. I would agree with Solomon. The theory of balance and Ma’at is centuries, even millennia old. The theory of development economics maybe has some hundred years (if that much) under its belt. Tweneboah Senzu, you know the USA is still controlled by Anglo-Saxons, right? You know that the Anglo-Saxons of the US put together a Marshal Plan to save western Europe after WWII, right? You know the US and western Europe are nothing without African resources, right? You know their hold on Africa includes Education, a sublime process of Indoctrination, which we must collectively refute, right? You cannot talk about Reactionary without appreciating the context in which this “reaction” is taking place. There’s no reaction, only an Africa context which clearly needs a counter-distinction from European ways of thinking. There’s no reaction but ASSERTION. We must, without apologizing, assert our self-assertive manhood. Tweneboah your critique is intriguing and very useful for this discussion. I’d like to hear more about your ideas on what you call “the ontological studies of scarcity” and what you think are the reasons behind its existence and reason. Your distinction between renewable and non-renewable resources is important. I wonder though what good are renewable resources if they are polluted to the point they cannot be renewed. Or if the energy taken to renew them (recycling paper maybe) exerts more energy on the world to make it out of balance. I guess I am wondering what is the value of the distinction here? Good points, very perceptive of you friend.